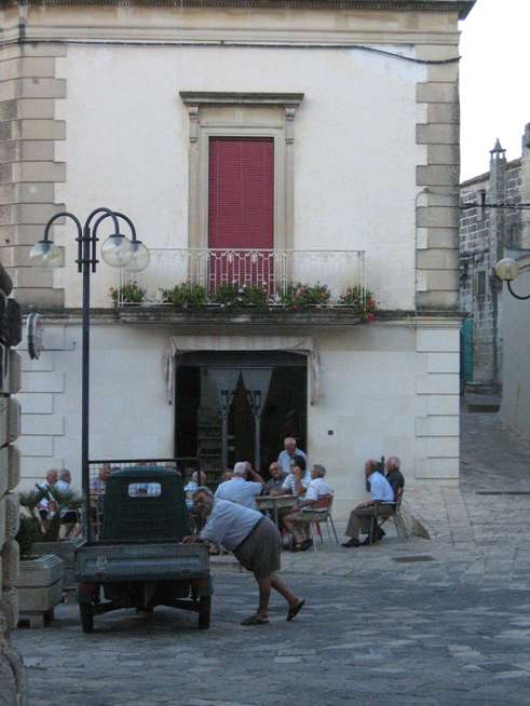 The month of July is coming to an end in Carpignano Salentino, a small town in the province of Lecce. We are somewhere close to the heel of the Italian boot. The afternoon is warm and the village is fast asleep - the siesta ends around 5 o’clock. A group of men sit alone, chatting playing cards and drinking wine and beer. They know how to enjoy life! Elisa Pavan, 31 years old, employee, Milan.